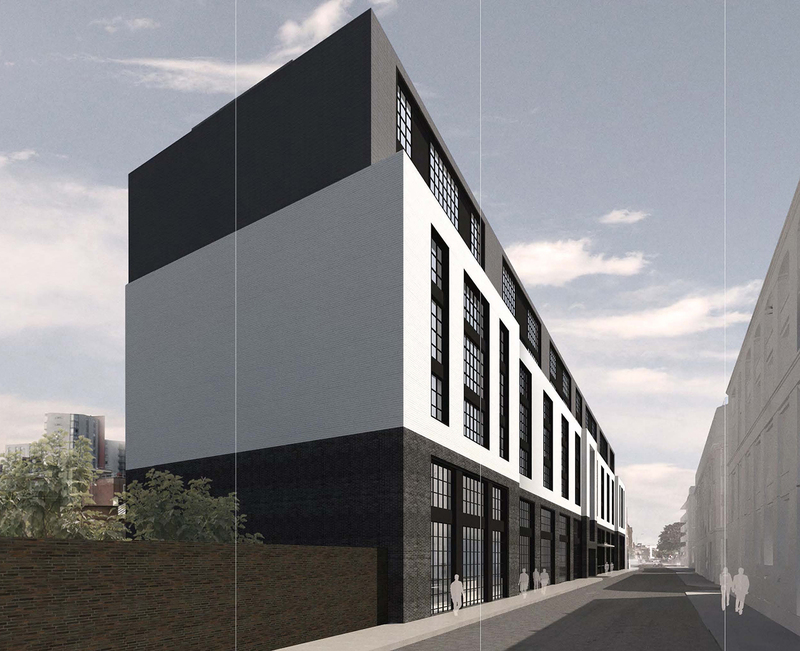 This project involves the refurbishment and enlargement of an existing seven storey office building on Shepherdess Walk. The existing building was built as an office and printing press in the late 1980’s with a reinforced concrete flat slab construction, supported on large diameter bored piles. The proposals will create approximately 150,000 sqft of new high quality office and retail space. An additional storey is added to both the main building and the annex, whilst the rear façade of the main building will be extended outwards. 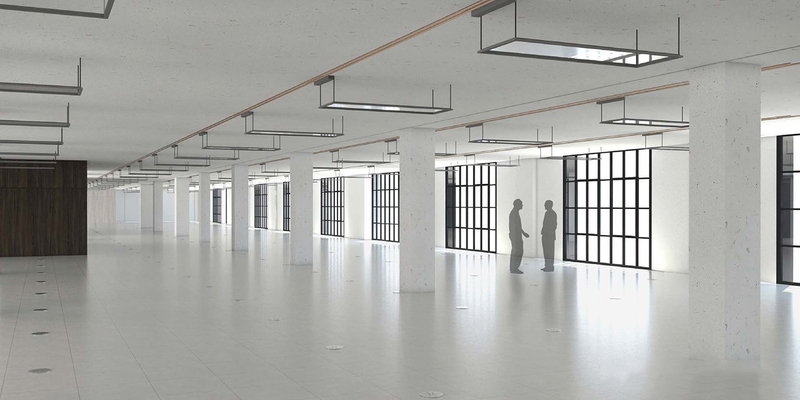 Existing service and lift cores will be partially removed and recreated closer to the edges of the floorplates, to create more open office space and to provide stability to the enlarged building. 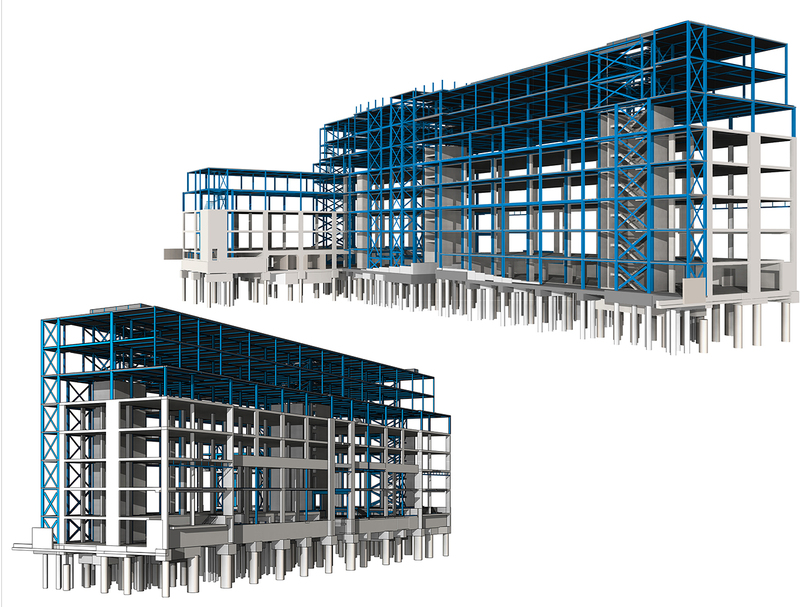 The existing RC slabs and supporting steelwork will be exposed in the completed scheme to highlight the industrial heritage of the building, whilst the upper stories utilise composite beams with lightweight concrete slabs, partially hidden behind a plasterboard ceiling, and with integrated service runs. New factory-style windows are installed in a revamped façade, improving the streetscape and bringing more light into the building. The entrances to the building will be altered to provide level access from street level, with the addition of a single main entrance with projecting concrete canopy in the centre of the building.